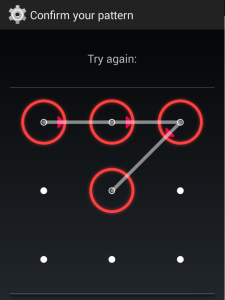 In recent articles we have explained how to remove the unlock pattern of our Android devices. If we have internet access and a Google account, the task is simple, however, when no connection is available and we don’t have the mobile device linked to a Gmail account, the situation can be quite complicated. In case of having a tablet or a mobile phone rooted and the USB debugging mode enabled, we can remove the gesture.keys file with a PC. This file contains the unlock pattern, so if we delete it and restart the phone, it will start without more problems. In this article will explain how to do it in the worst case scenario, when we have no internet access, the device is not associated with a Google Account, it’s not rooted or the USB debug mode is not activated. If we have a backup, then we can consider making a factory data reset of the device and reinstall the backup. It is advisable to periodically store a backup and there are some apps on the market that allow automating the process so that we can always have a current copy safe on the cloud. If we don’t have any backup, we need to take a previous step before we can delete the file that stores the unlock pattern. 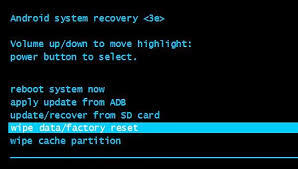 The solution consists on installing a recovery that can use the ADB. The installation details for the recovery vary for each model and manufacturer, so it is best to find the specific instructions for our device. We can install several recoverys, but the most common are ClockworkMod Recovery (CWM) and Team Win Recovery Project (TWRP). Both can run the ADB, so we can access to the command console. At this point, we have two options. One consists on using the functional recovery mode and installing a small program to remove the pasword. The other option is to follow the steps detailed in the previous article where we used the ADB to delete the gesture.key file, which stores the unlock pattern. If we choose the first option, we need to download the Password Disable Pattern file on the SD card or the PC. Then we can reboot the device and access to the recovery mode, where we can run this file using the option Flash zip from sdcard. When we restart the device again, the pattern will be gone and we can normally access to the phone or tablet. This is a simple but tedious process, which can be greatly simplified if we have a backup saved. We never know when we might have a problem that requires formatting the device and it is not always possible to solve the problem and save the data. Currently there are several applications that automate this process and can perform periodic backups stored on the cloud. It is worth spending some time to explore the offer available on the market to find one app that suits our preferences.